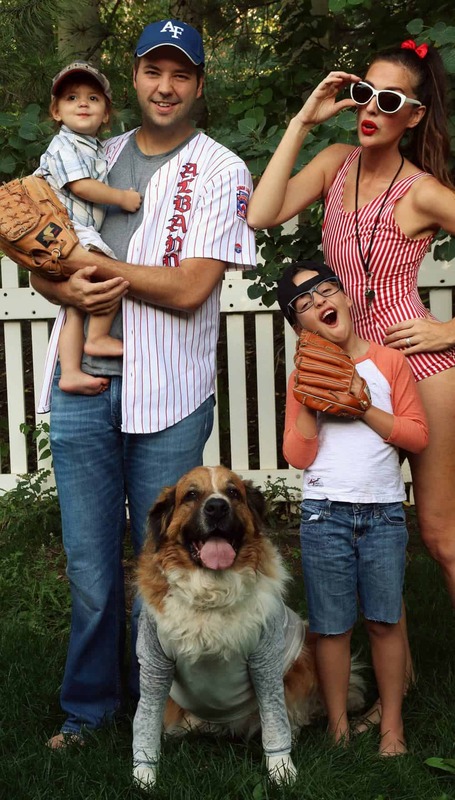 Is there anything cuter than family Halloween costumes? Okay, maybe family jammies at Christmas. 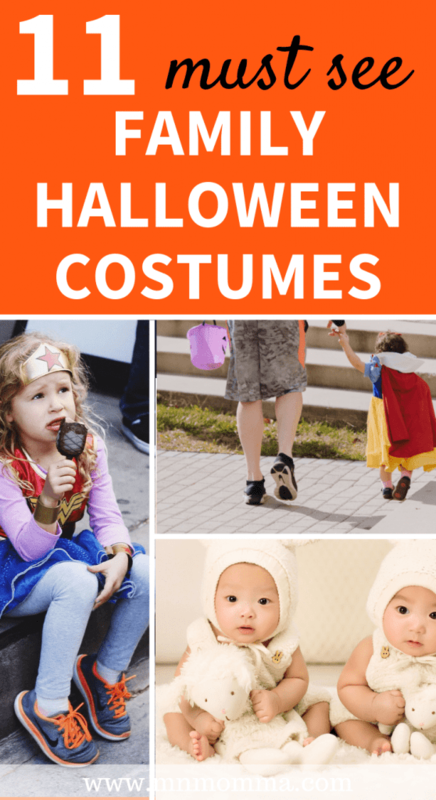 But when it comes to Halloween with little ones, these family costume ideas are just what you need! If you’re feeling crafty, almost all of these family Halloween costumes can be handmade. If that’s not your thing, don’t worry, there’s plenty of party supply stores to buy your costumes from. To be honest, I’m a lady who likes that middle ground. I’m not sewing savvy enough to make a whole costume from scratch, but adding little pieces or DIY-ing certain parts? Oh yeah. I can handle that. I also prefer if what I’m buying can be used again, like this cute, warm teddy bear outfit for your baby (which was definitely our son’s first Halloween costume, along with our mama bear and papa bear shirts). That being said, I totally get that a witches hat is probably not a part of your normal wardrobe. So anyway, let’s get started on the best family Halloween costume ideas. Can you believe these are handmade?! These costumes are the cutest. 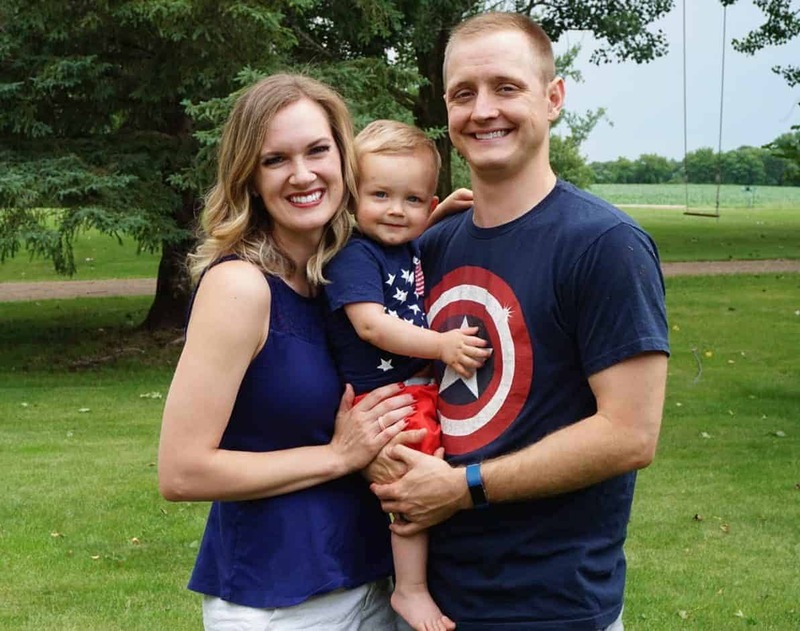 Have no fear, if your goal is to look like this adorable family, Kalina even links to the patterns she used! 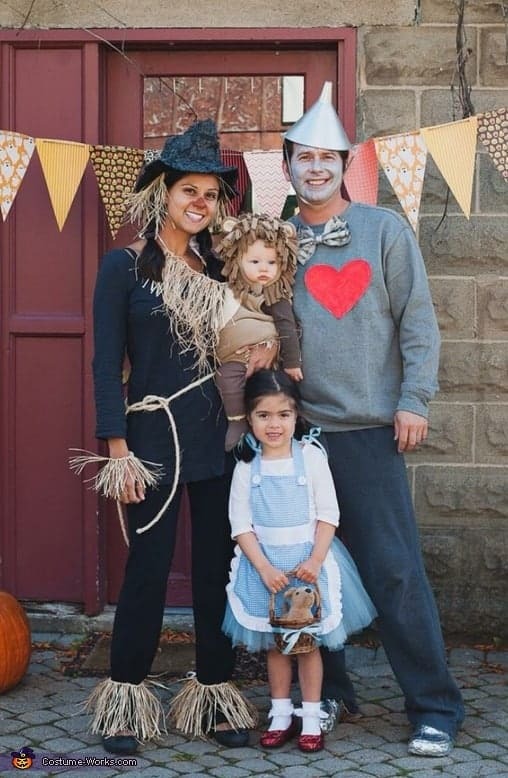 Just when I think these family Halloween costumes can’t get any cuter – there’s this adorable Wizard of Oz inspired one! 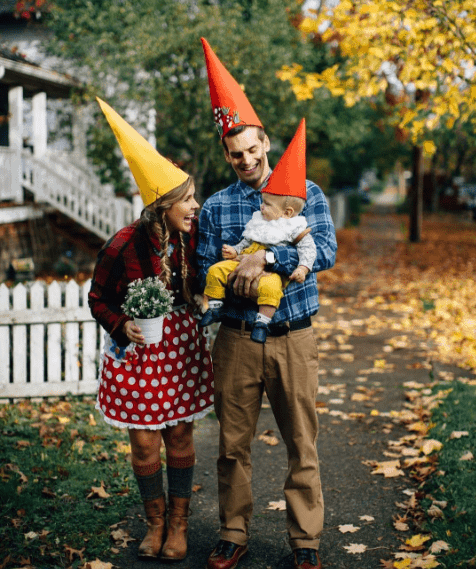 This family costume idea can be as homemade or store bought as you’d like. And then there’s this sweet little gnome family. 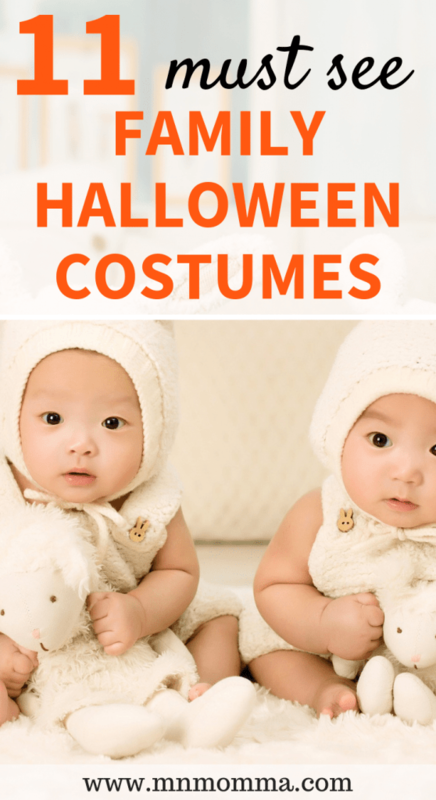 Talk about an easy and super cute costume! Even if you’re not overly crafty, I bet you can DIY this one. You’ve seen the Incredibles, right? Well this homemade costume is pretty incredible. 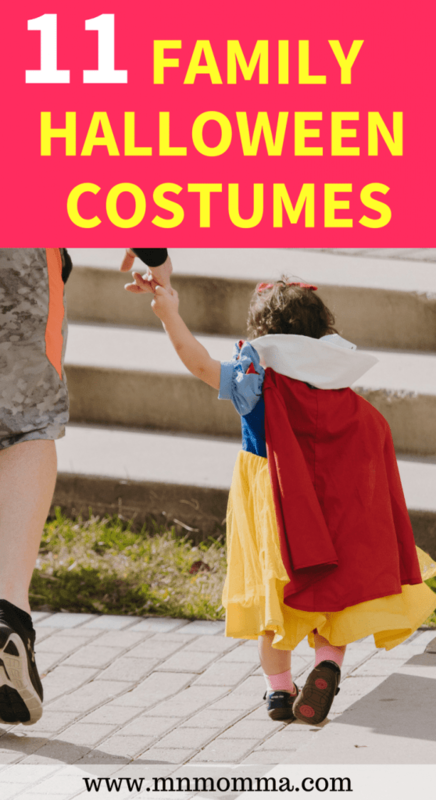 Kearstin promises this DIY family costume idea is easy and even gives great instructions on how to reconstruct your own. 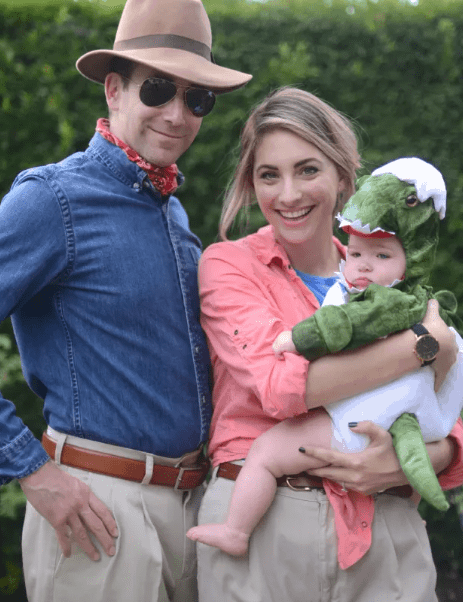 This costume has a special place in my heart, due to my husband’s love for dinos and all things Jurassic Park. 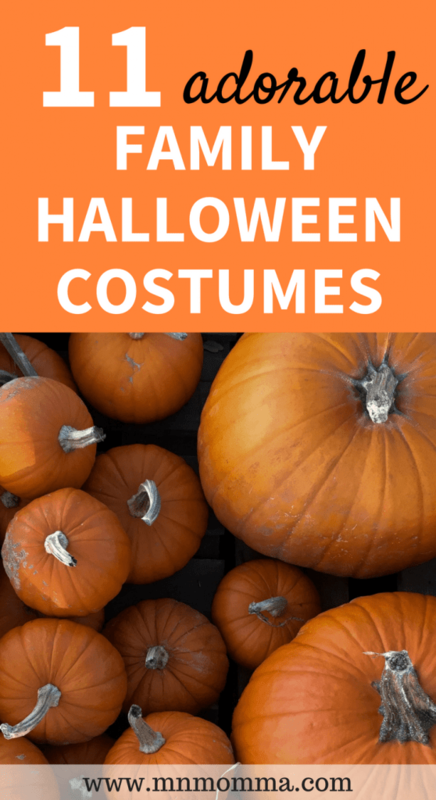 Emily gives you all the details on how to recreate the family costume idea and even shares that her and her husband’s costumes were only $17! Want another easy, comfortable, (and warm!) costume for your family? 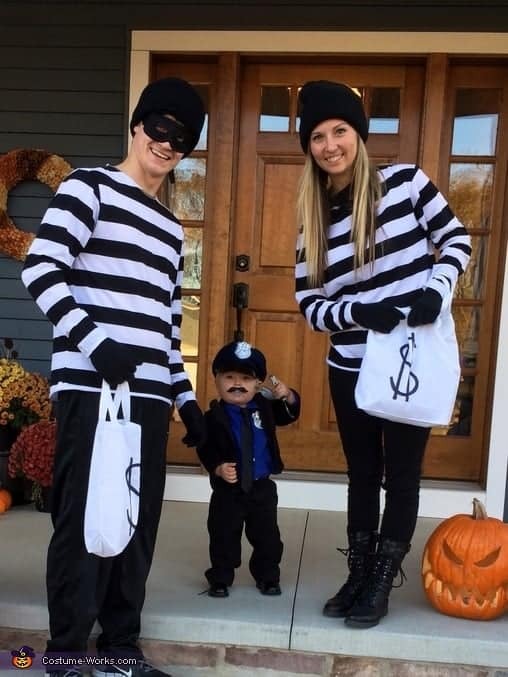 Check out this cute family of cops and robbers. I just love this one – there’s something sweet to me about a beekeeper and his bees. Missy from Pink Pistachio shared this one of their super sweet family sporting their family Halloween costumes. Ready for a super simple Star Wars family costume idea? You got it! 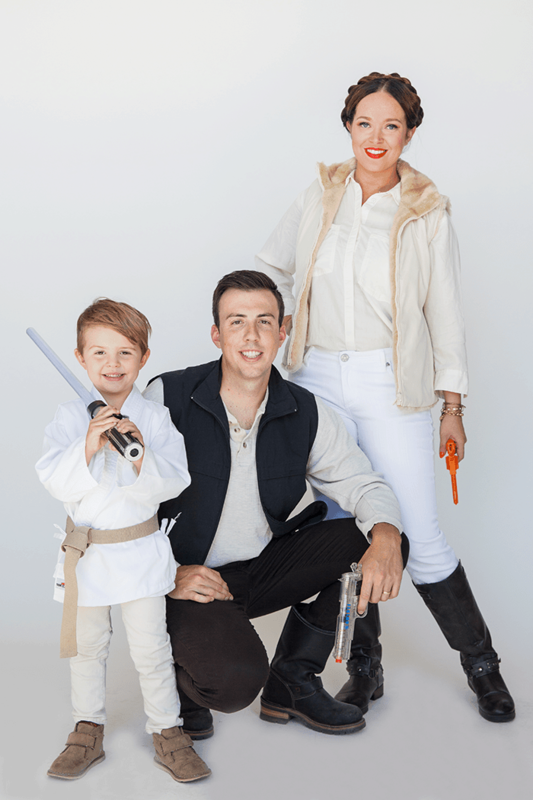 Check out Luke, Leia, and Han Solo in these awesome family Halloween costumes. Got the whole crew ready for a fun night? 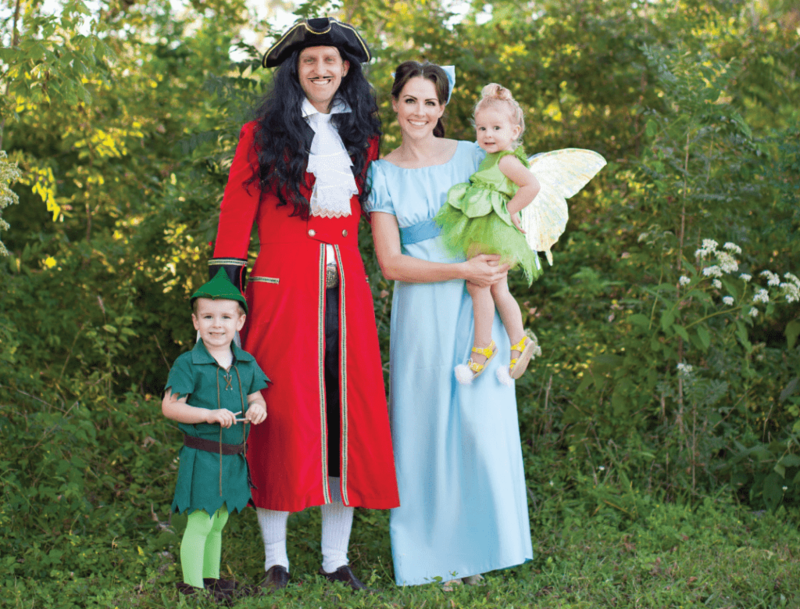 This family costume idea is a blast from the past and so much fun. Grab the gang and become the kids from the Sandlot for a night! 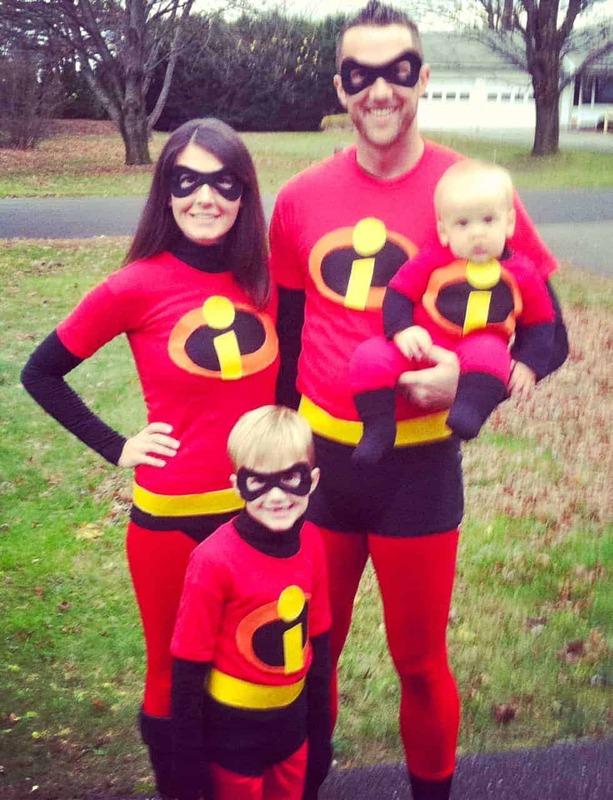 This family costume idea is way too funny! 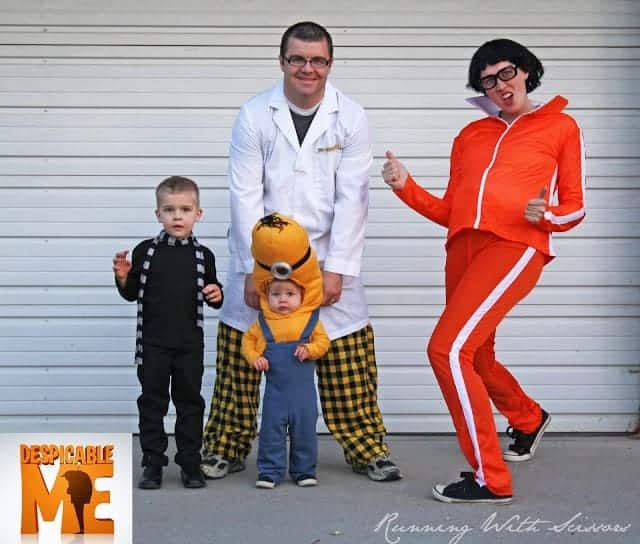 I can’t stop laughing at the pictures Jessica from Running With Scissors shared of her Despicable Me family Halloween costumes. As a bonus – she’s totally rocking a pregnant belly in the orange track suit! Everyone knows Mario Kart, right? 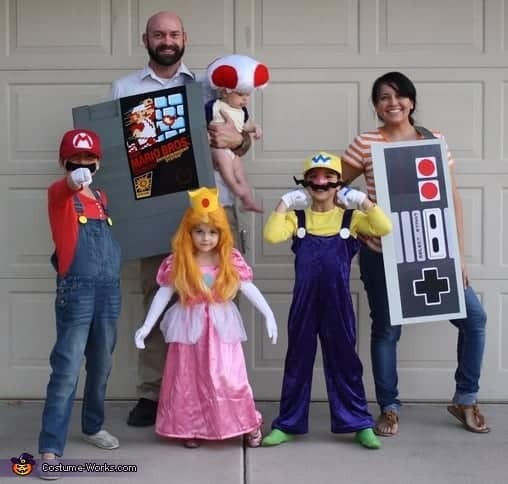 This family Halloween costume reminds me of when my husband and I were Mario and Peach our first married Halloween. I’m thinking we may have to bring back those costumes to include the whole family! Happy Halloween! 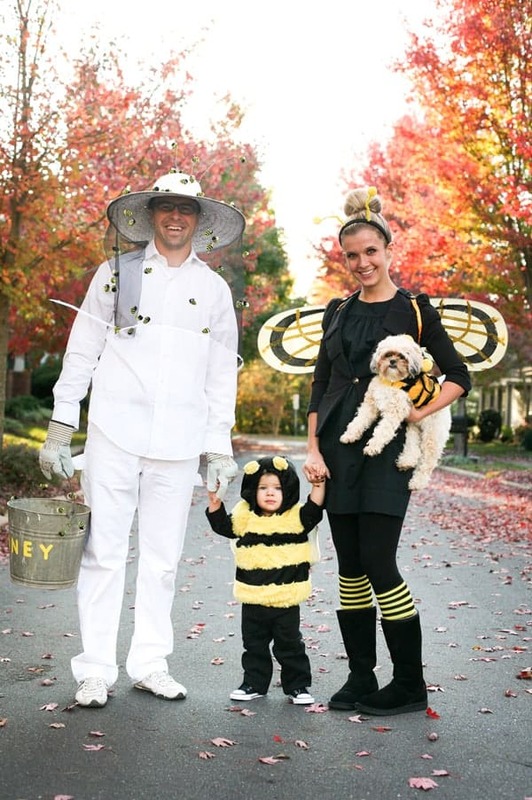 Share your favorite family costumes with me below!